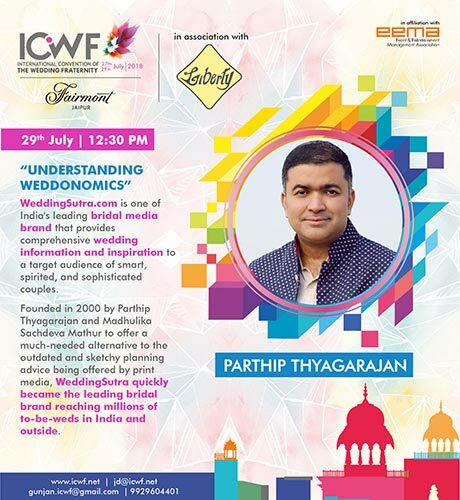 Home » Blog » Why you NEED to see ICWF 2018 – a better wedding standard is yet to be seen! All this while we’ve got you insider tips that eased your wedding work and made you smile. We revealed things no one tells brides at the helm, and the tip in this article is one of them! 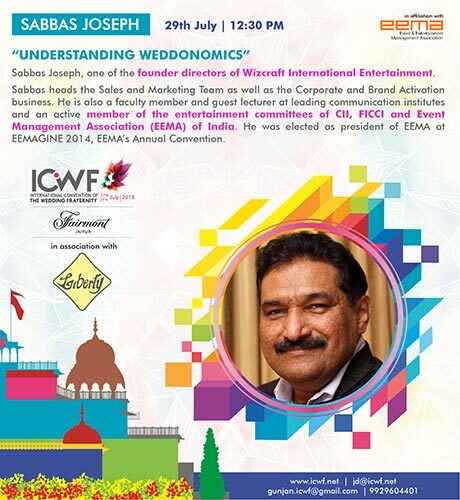 The ICWF aka the International Convention for the wedding fraternity is an important one so we had to tell everyone! 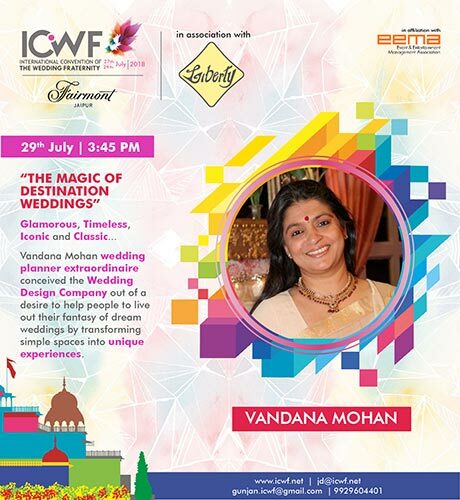 ICWF 2018 is a great cheat codes for brides that we’ve seen. For professionals, it’s a definite MUST do. An unbiased and objective platform where you’ll find oodles of insights, recognition and networking for you! 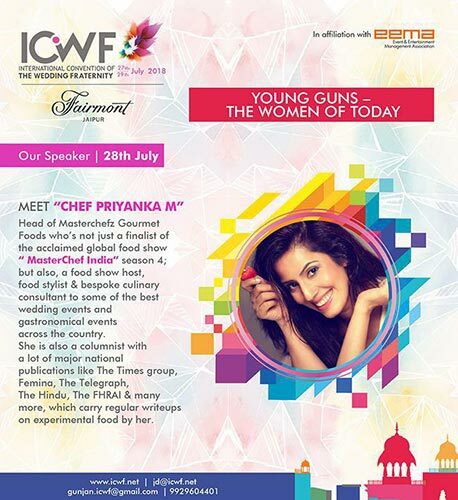 So really what is ICWF 2018 ? Weddings have come a LONG way from the times of the neighbourhood tent wallas. Every inspiration post we make is testament to how far Indian weddings have come in terms of their design, ideas, appeal and scale. Today our brides have access to a whole host of professionals and young designers who work behind the scenes to make your wedding is exactly the way you imagined it! The Modern Indian bride’s Big Day isn’t in the hands of rookies, rather thorough professionals today and you wouldn’t have it any other way! Well, every profession needs an Apex body. 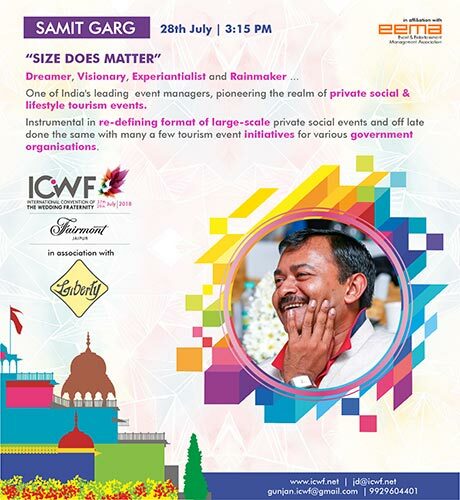 ICWF is exactly that for Indian weddings. It’s that one standard where the best professionals are found from all around! 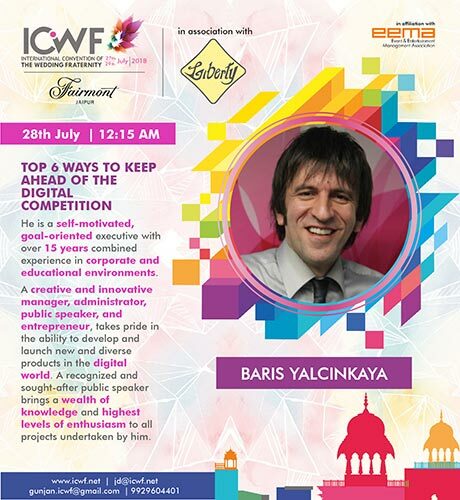 Each year ICWF hosts their convention for professionals to attend. 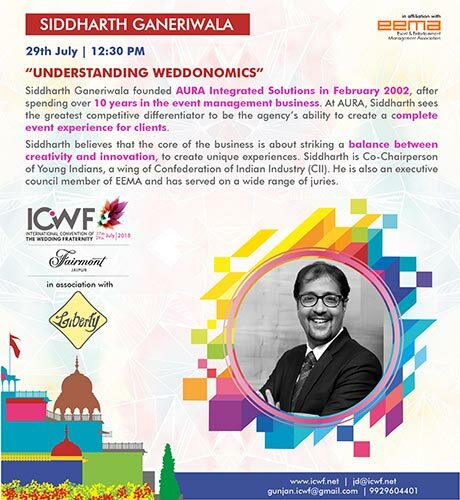 Yes, it’s a B2B convention & not for brides, but it hold so much info for you, you’ll be surprised. 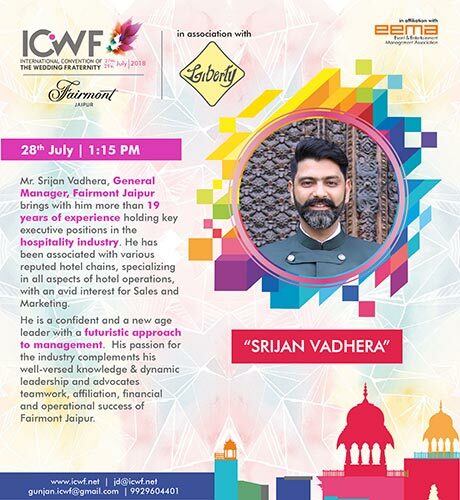 ICWF 2018 is a singular platform where global trends come to India! If you’re looking for the best ideas they’ll be formed here. The best professionals too. 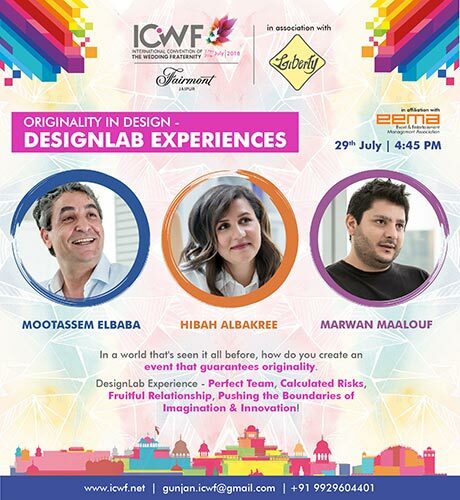 In fact, any good professional worth their salt will definitely make ICWF a yearly halt. Because it’s the ONE place where the best in world together surface! The most brilliant wedding minds get together and reveal their finds. 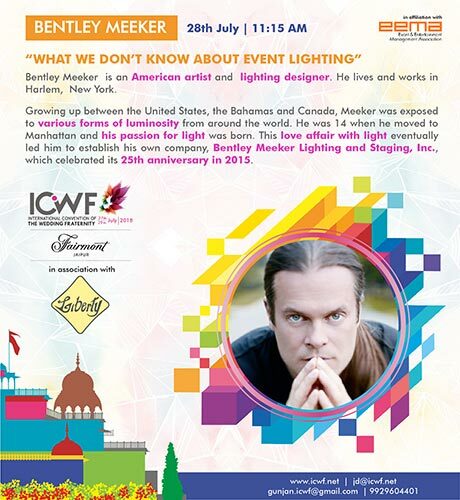 That’s why following ICWF is important for you! From Karen Tran the world’s leading floral wedding designer (remember the Ambani engagement decor – all her!) 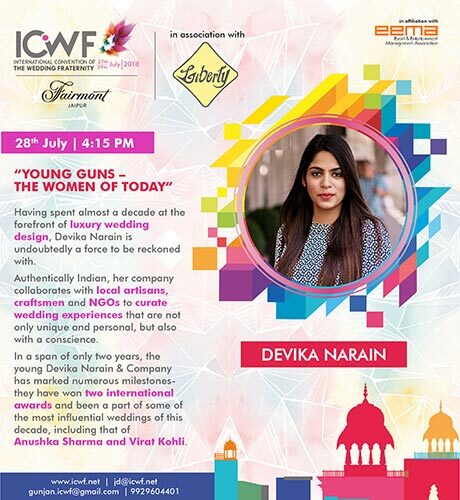 to Design lab events aka one of the world’s best wedding designers to Devika Narain who designed the #Virushka wedding what have you! Like we said the convention has insights from the pioneers, revealing what all they’ve learnt over the years! Ensuring the bride’s happy with their work a.k.a no wedding fears! 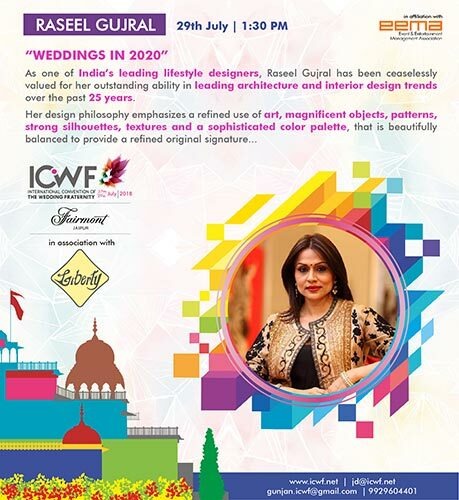 ICWF even has it’s own coveted industry awards called GIWA (The Great Indian Wedding Awards) and they’re known to be very critical no matter the rewards! The only ones that recognises every person you could possibly need to make your wedding dream come alive – we’re talking planners/designers/invitation brands, photographers, cinematographers, trousseau packers/venues/makeup Artists – LITERALLY everyone! As a bride, if you’re looking for the best professionals you just need to go through the GIWA winners and you’ll have a shortcut to India’s best right there, waiting to pair. No need to spend hours on listings /google. We told you, this right there is the ultimate cheatcode to oogle. Holding our breaths for what all wonders this year’s convention will be seeing! Head to ICWF.net you’ll find oodles of great information there we bet!